For today’s traveler Budget Host Big Sky Motel offers "rates you can sleep with." 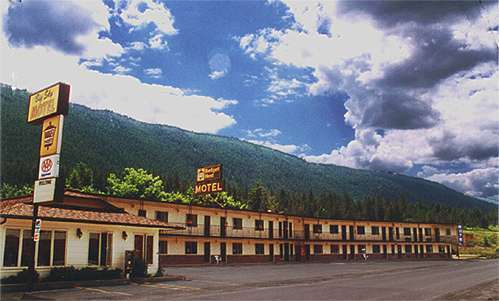 The Budget Host Big Sky Motel is a quality Budget Host facility located in a picturesque mountainous setting in Western Montana. Twenty-four modern rooms range in size from single to family units. 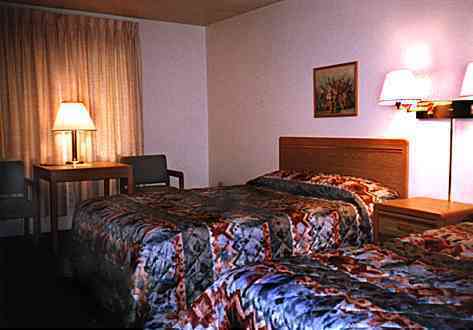 The rooms are cheerfully decorated and are individually heated and air conditioned for year round comfort. A continental breakfast is offered in the morning for a great "start o’ the day" to you for free. Discounts: Senior Citizens, Family rates. Guests with Budget Host travel directory, 10%. Services/Amenities: 24 units. At-door parking. Cable color TV. Direct-dial phones. Queen beds. Family rooms. Nonsmoking rooms. Free continental breakfast. Restaurant. Coin laundry, 6 blocks. Pets okay. Truck parking & plug-ins. Area Attractions: Public pool, city park & tennis courts, 3 blocks.